Is this the year to attend the Twin Cities Auto Show? Considering last year’s rebound of the automotive industry, there are plenty of reasons to attend. In the past few months, a slew of new products made their debuts by promoting the virtues of higher fuel economy, lesser emissions, more intelligent design and engineering. Others promised extraordinary performance never seen even during the days of the muscle car and the early exotics. It is an exciting time to fall in love with the automobile. From what is being said online and off, we appear to be ready for it. It is, indeed, cause for celebration. The point is that we, in the Twin Cities and throughout the Upper Midwest, love our automobiles. We are now ready to embrace this new era of the automobile. Starting on March 10, the doors of the Minneapolis Convention Center will open for the 39th edition of the Twin Cities Auto Show. This year’s show will not only feature the latest in automobiles from every brand sold in the state, it also offers other experiences to showcase the latest in “green” propulsion and fuel options, the most luxurious vehicles in our showrooms, and a chance to sample a new vehicle through the show’s Ride & Drive experience. If you want just more than cars and trucks, veteran music group Blood, Sweat & Tears will perform right at the show on March 17. For those of us who could not be bothered with large crowds, there are private tours available before the doors open every day at the Auto Show. You and up to 24 of your friends are given a guided tour of the auto show with a few other premiums, including preferred parking at the Convention Center and a gift bag for everyone in your party. There will be plenty of new vehicles to see on the floor of the Minneapolis Convention Center this year. 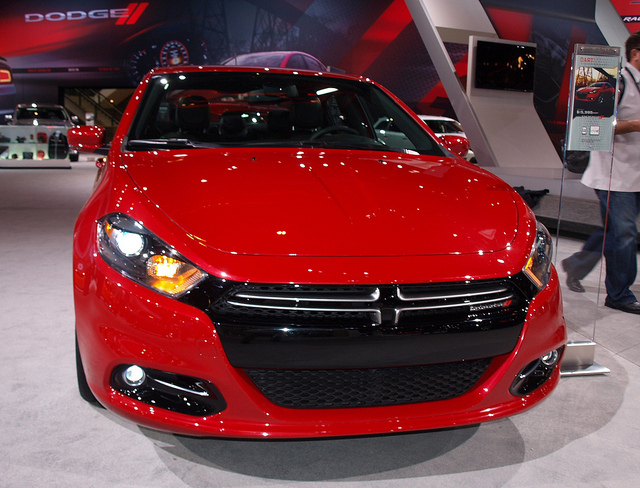 Amongst the newest models to appear, the 2013 Dodge Dart is scheduled to be on the show floor. The Dart is the first amongst a wave of new Chrysler products developed in concert with its Fiat partners. The result is a compact that will surprise you with an aggressive, but entertaining design, plenty of room inside and a suite of technological and performance options to make your Dart experience a very enjoyable one. If there were a potential “star” of the show, it would be the Dart. Ford would be an important stop to make with two upcoming new models to check out–the 2013 Escape and 2013 Fusion. As seen on the Fiesta and Focus, Ford’s Kinetic design language transformed two very popular products in the Ford lineup into very entertaining-looking vehicles. What is even more intriguing has been the absence of any V6-powered models or flex-fuel capability across both new lines. Instead, you get EcoBoost turbocharged engines–small in size, but packed with a lot of power. While the Escape will not have a hybrid for the 2013 model, Fusion gains a plug-in hybrid called the Energi to augment the regular hybrid model. If you head across to General Motors, you would be able to experience a few very intriguing upcoming models. 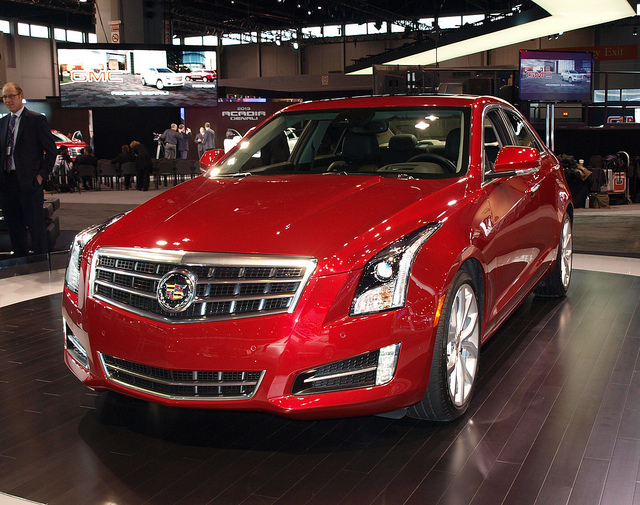 Cadillac should be able to bring its new compact ATS and large XTS sedans for us to enjoy. The XTS replaces the DTS and STS as its large luxury sedan, while the ATS arrives to battle BMW’s brand-new 3-Series sedan. Buick is scheduled to bring its compact crossover Encore to Minneapolis. The Encore presents a different proposition for couples that live in urban neighborhoods, such as Linden Hills or Summit Hill, where parking can be at a premium. The Encore offers a small footprint for a four-seat crossover with enough power to shuttle groceries or commute within a reasonable distance. Expect the recently introduced and revised 2013 GMC Acadia and the 2013 Chevrolet Malibu to join the GM section of the show. Brands from Europe and Asia will also bring some excitement to the auto show. First among equals will be the twin sports cars that were spawn from a collaboration between Toyota and Subaru. Scion should be bringing their version–the FR-S–along with Subaru’s BRZ. Both sports coupes are seen as a departure from their normal offerings. For Subaru, this is the first rear-wheel-drive vehicle since the 360 ended production in 1971, while the Scion offers the first horizontally opposed engine in Toyota’s history. Also expected to be at the Auto Show from Toyota will be the Scion iQ, the 2013 Lexus GS and the entire Prius family–including the smallest member, the C.
Hyundai recently introduced a slew of new variants for the Veloster and Elantra, along with a revised Genesis coupe, all expected to be at the Convention Center. BMW’s new 3-Series should also be there, along with the new 2013 Mercedes-Benz SL-Class roadster, Range Rover Evoque, Acura ILX compact, the Infiniti JX three-row crossover, and the Mazda CX-5 compact crossover. Usually, we will find a concept car amongst the displays at the show. Toyota, Chrysler, Nissan, BMW, Chevrolet, Cadillac, and Acura rolled out some pretty evocative concepts at recent shows since last summer. Most of them are making their way through the auto show circuit. Don’t be surprised if we see most–if not, all–of them at the Convention Center. If you are attending, advanced tickets are available for a discount at TCAutoShow.com. Otherwise, it is $10.00 for adults at the door. On Wednesday March 14, you can attend the show for half the $10.00 admission price. The website has all the information you need on specific hours and events during the show. If you attend anytime on March 10, you may actually run into the person who wrote this piece. Will this be the year you go to the Auto Show? If it is your year, come join the celebration to ring in the era of the automobile. Randy Stern is an automotive writer from Robbinsdale, Minnesota. He can also be followed at Victory & Reseda – http://www.randystern.net.